Woodbury, Tenn. - Many children will be back in the classroom in just a few weeks that's why the Cannon County Health Department is reminding parents to get their children's back-to-school immunizations now. In Tennessee, children enrolling in school for the first time and all children going into seventh grade must provide schools with a state immunization certificate before classes start as proof they have had all the immunizations necessary to protect them and their classmates from serious vaccine-preventable diseases. "It's very important for children to be up to date on their immunizations because vaccines help protect the health of students when they are in the classroom," said Andrea Fox, County Director. "All students entering seventh grade are required to have proof they have had two doses of chickenpox vaccine (or a history of illness) and a booster shot for tetanus, diphtheria and pertussis or whooping cough, commonly known as 'Tdap,' to protect them through their teens. Another required immunization is for measles, mumps and rubella, also known as MMR." This is also the age pediatricians recommend preteens get their first of three doses of a vaccine to help prevent cancers caused by the human papillomavirus and their first dose of meningitis vaccine. Although HPV and meningitis vaccines are not required for pre-teens, they are recommended to be given at the same time as the required Tdap booster and any other vaccine a child may need. • Kindergarteners and other children enrolling in a Tennessee school for the first time must provide schools with a complete Official Tennessee Immunization Certificate before classes begin. The certificate must be signed by a qualified healthcare provider or verified by the state's immunization information system. 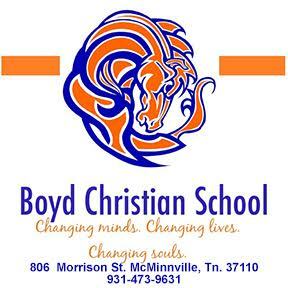 • All current students entering seventh grade are required to give the school a limited Official Tennessee Immunization Certificate showing they have had a second dose of chickenpox vaccine (or a history of the illness) and a booster shot for tetanus, diphtheria and pertussis. The HPV cancer vaccine and first meningococcal meningitis vaccine are also recommended, but not required for school, for this age group. • Incoming college students in Tennessee public colleges who will live in on-campus housing must provide proof of immunization against meningococcal meningitis after age 16. Most private colleges also have requirements for this vaccine and some schools require it of all new students. Check with your college for details.